Anyone who reads Severe Contest will notice that our social-media team has evolved over the past two years. Our overarching goal of increasing awareness and ultimately paid readership among globally curious people has not fundamentally changed. But how we achieve this mission has — and continues to do so. The main reason is because the platforms where we distribute our content are also rapidly changing. Whether it’s a tweak to their complex algorithms or slower user growth, we have to respond accordingly. Does this mean that we dive enthusiastically into every new product launch or platform? Quite the opposite; we strive to be disciplined about saying “yes” only to the ideas we believe will help us achieve our goals and asking “why?” to help us stay focused on the right things. That means being open to experimentation, but setting a hard deadline and killing a project if it fails to meet expectations. There’s another reason we constantly fine-tune our approach: tactics that worked yesterday may no longer be as effective today. For example, we have realised that focusing solely on social media distribution — and expanding our reach — is not the most optimal use of our time. We need to strike a healthy balance between striving to reach more readers across platforms over which we have zero control, with bringing them back onto the platforms over which we do have control, such as our apps and website. When we expanded the social media team in the summer of 2015, our short-term goal was to post more, catch up with rivals and remind the world that we exist. However, we ended up devoting too much time to churning tweets that few people read. So we focused instead on producing high-quality social-media content, such as “vimages”, shareable video and other new formats, as well as resurfacing evergreens and coordinating across departments to give important events a big push. We’ve achieved huge success so far, with social media helping to drive record engagements and traffic to Economist.com this year. Yet an over-reliance on social media can leave us particularly vulnerable to sudden changes by platforms. Ultimately, we want people who find us on social media to come back to our website and apps, and to spend more time there. For some time, our team focused mostly on reaching new audiences across social media platforms by publishing as much content as possible. Over the past year, we’ve invested more time and resources into engaging with readers on Economist.com and elsewhere, because these are the types of activities we believe will help build loyalty and hopefully encourage readers to subscribe. On Medium, we launched Inside The Economist and Correspondent’s Notebook to help readers understand the people and processes behind the red and white logo. At a time when Americans’ trust in mainstream media has fallen to an all-time low, we think that these series can help improve transparency and bring us closer to readers. Similarly, Quora has proven to be an effective way of connecting our biggest fans with The Economist’s correspondents and editors — and at a much deeper level than on other social media platforms. The breadth and specificity of questions suggest that readers want to better understand how we do journalism. 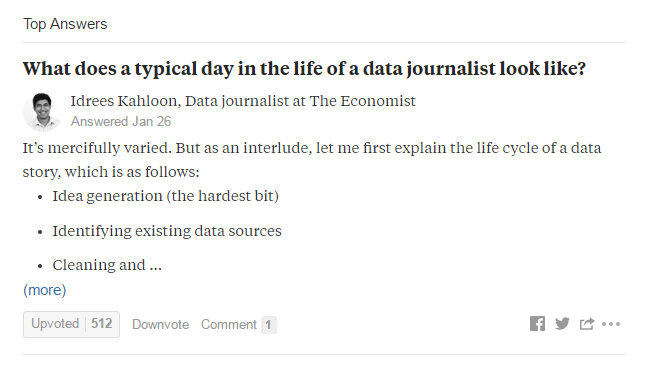 Our Quora Q&A with Idrees Kahloon, a data journalist, generated more than 4m views. Building on these initiatives, we’ve also just launched a Facebook group for readers who want to debate American politics in a civil environment. My colleague Adam Smith outlines how it works here. On Economist.com, work is under way to apply some of the lessons we’ve gathered on Medium and Quora, with the ultimate goal of creating a space for the kind of high-quality conversations The Economist is famous for. No longer do editorial and commercial folks avoid talking to each other. We now work with the marketing teams daily to identify the types of content and formats that resonate with our most engaged social-media fans, and to target them with subscription messages. We supplement these efforts with campaigns around a particular topic (e.g. Oceans, Future of Work and Pride & Prejudice) to raise awareness of the stories readers may not know we covered. 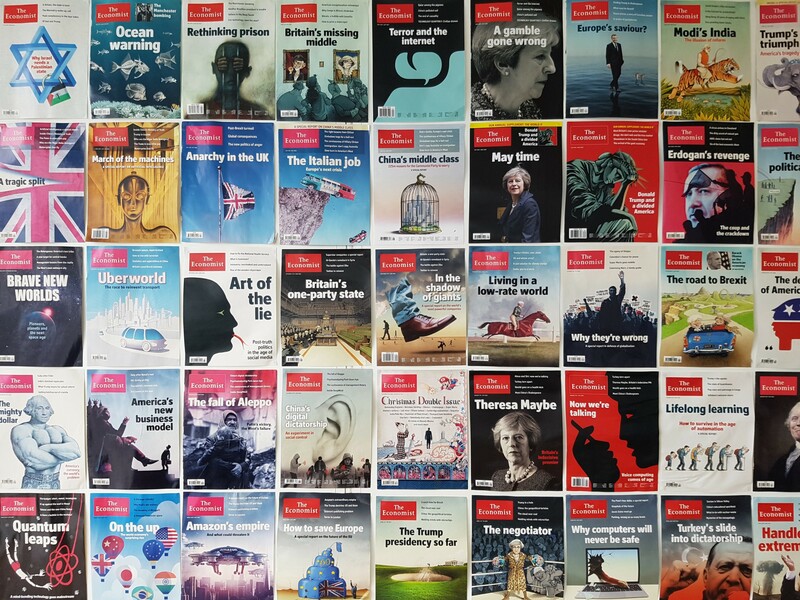 The Economist has more than 40m social media followers, but what does that actually mean in terms of their propensity to engage with and subscribe to our publication? Not much. We’re more interested in driving high-quality engagements and traffic, and trying to hone in on the behaviours — bounce rate, articles read, retention and time spent — that lead people to ultimately become loyal fans and subscribers. For us, reach is a meaningless metric if it does not translate into anything concrete. What is the most common journey from social media to becoming a subscriber? What are the characteristics of a reader who is likely to subscribe? What types of content do they engage with most? 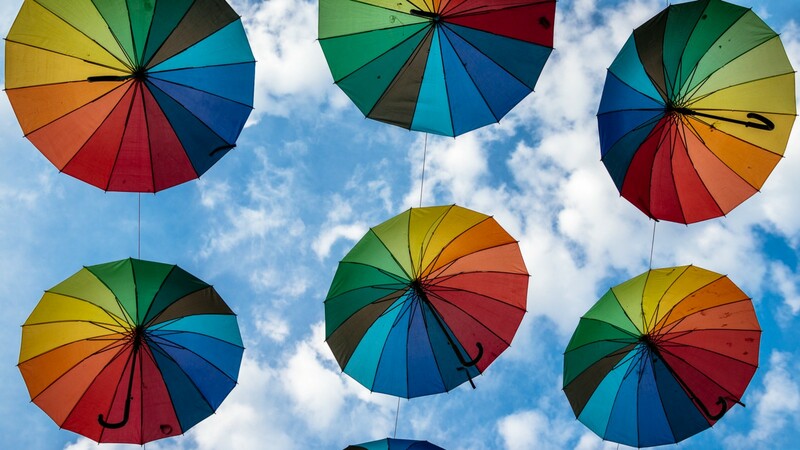 For the rest of this year, we plan to double-down on some of these initiatives. As usual, we’re keen to hear our readers’ thoughts: where do you think we should take our team? What are some ideas (beyond social media) we should explore? How might we create more meaningful relationships with readers? Let us know in the comments below. Denise Law is community editor at The Economist.